Visitor Management New York City: What Sets Building Intelligence Apart From The Rest? In today’s world, safety comes at a premium. Take a moment to think about how you enter your workplace each day. Do you use a key card reader? Are you required to show identification such as a driver’s license to get through a particular entry? Building Intelligence is changing the way we think about safety and security. In this blog post, we will share what exactly separates our visitor management solutions apart from the industry competition. Building Intelligence, based out of New York, provides provides an unmatched cloud based visitor management system for managing access and identities of vehicles, visitors, and vendors. As an enterprise level service, we ensure that every solution is customized to fit the needs of buildings, tenants, and security companies that service facilities. We integrate and are certified on Lenel, Amag and CCure, something that many competing companies can claim. In addition, our visitor management team provides terrific kiosks for self-managed entry via Android, iOS, or Microsoft. Building Intelligence also provides a one-of-a-kind solution that supports action and reporting from the gatehouse all the way to the loading dock. So even if you have a large facility with multiple entry points (and the possibility for safety to be compromised), everyone can still feel comfortable and secure. Our team is capable of integrating into PSIMs, LPRs, WeightScales and Underground vehicle inspection systems. Today’s corporate environment requires that a property’s security operations be infallible. It’s critical to make the best first impression and maintain security information even with visitors constantly passing through your property. SV3, one of our premier solutions, ensures a significantly higher level of security and accountability while also allowing the most efficient entry of visitors. This electronic system provides optimal entry management and can seamlessly replace outdated and ineffective ways of visitor tracking. 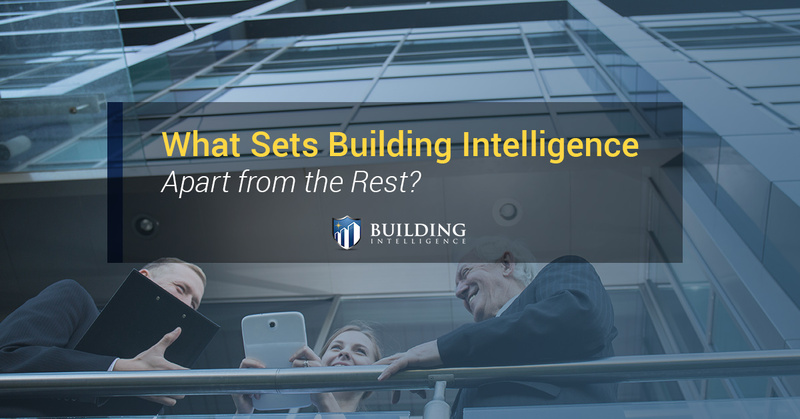 With Building Intelligence, you’re getting the absolute best entry management product available. In 2014, SV3 was voted the Best New Product at the New Product Showcase by the Security Industry Association. SV3 was recognized for its cloud software application that easily integrates with local access control, handheld devices, license plate readers, and more. The SIA recognized Building Intelligence for the leading-edge security solutions that help validate those coming onto a campus, into a building, and inside a parking structure. We rarely think about boosting a facility’s security until after something bad happens. Building Intelligence can help you stay ahead of things and be proactive with long-term security. When our visitor management solutions come together, you take the step of preventing potential terrorist acts, deterring potential criminals, and vetting all vendors prior to facility entry. Our clients can have their pick from SV3 Visitor, SV3 Vehicle & Vendor, SV3 Mobile, SV3 Kiosk, SV3 Loading Docks & Scheduling, and SV3 Connectors. Don’t let your facility go another day with security and safety being compromised. Make the easy choice and get started today with Building Intelligence.